Someone gave me this Backpack Pattern and I thought it seemed like the perfect thing for my son (which more masculine fabrics of course!). 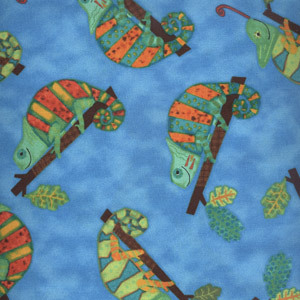 I had some really cute fabric in my stash called “Creatures and Critters” that was designed by Amy Schimler for Robert Kaufman fabrics (alas, this was from a line she did a few years ago, so you can’t find it at retail shops now). After making this pattern, I learned that sometimes you want to use batting instead of fusible fleece. The pattern calls for you to use batting and do some quilting on the exterior, but I used fusible fleece since I didn’t feel like quilting it. However, the fusible fleece is much stiffer and has less give, so it was difficult for me to get the outside pocket to lay correctly, and the main bag was “sturdier” than I wanted it to be. As a result, I just made a traditional pocket with a flap and it is too large, and you can’t see much of the cute fabric unless you look at the back. I must confess I was really excited when to make this pattern because I wanted to learn how to make the outside pocket, so I was not pleased with the final results. In general, the pattern is easy to follow, but there are a few steps that need more information (such as how to construct the exterior pocket) and there are some steps that I would do differently for a more finished look (such as how to make the interior pockets). I am going to try this again, with a few modifications (and try batting instead of fusible fleece). I do think this is a very cute pattern and it is different than the traditional backpack you see. 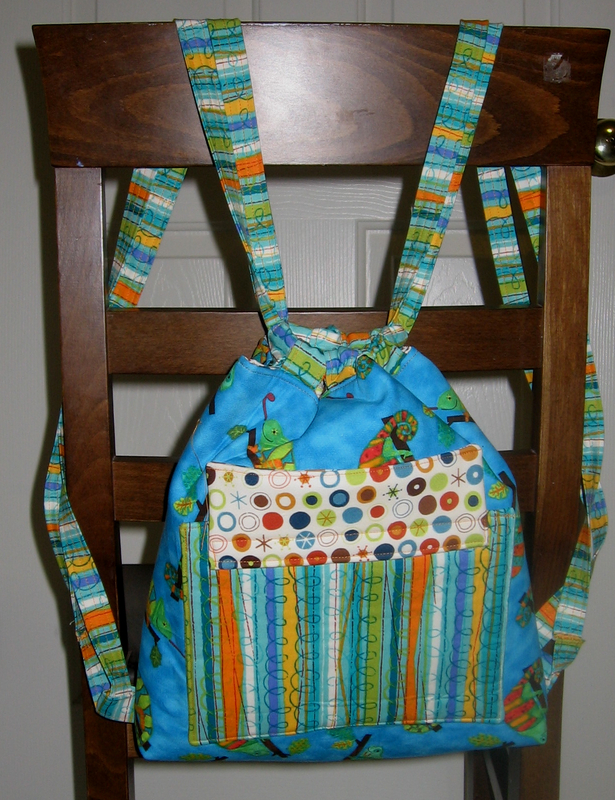 It is easy to open and can easily carry a few books, art supplies, and a small toy or two. The straps are too long for my son, so they will also be shortened for the second attempt. Wonderful fabric!!!! The secondary fabrics are also great choices!! Perfect for kids as it is easier for them to use than the average backpack.